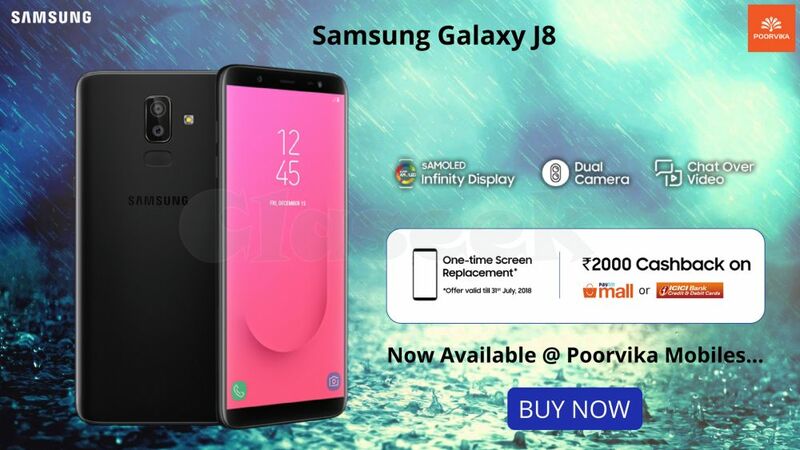 Samsung Latest innovation new Galaxy J8 mobile now launched with affordable price in India. The Samsung Galaxy J8 mobile comes with 4GB RAM and 64GB ROM is processed with Qualcomm Snapdragon processor and camera is 16 + 5MP Dual rear camera and 16MP front camera for capturing most reality pictures. Samsung Mobiles Phones Best Offers available Only at Poorvika Mobiles. To Check Samsung Mobiles Phones Price List in India at Poorvika Mobiles.